We are a family based business located in Appleton, Wisconsin. As June,1991 graduates of Sonny Bartel's School of Auctioneering in Ellsworth, WI, Robert and Kristine went to work on setting up their own auction business and it has been going strong ever since. Robert J. Loderbauer Auctioneer & Estates LLC provides both live and online auction services, conducts personal property appraisals and coordinates estate/tag sales as well. Providing flexibility ensures that the customer receives the best possible outcome. 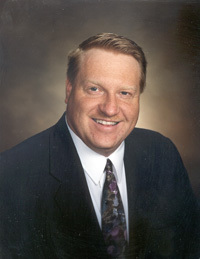 Robert obtained his designation as a Certified Personal Property Appraiser in April, 2011. Robert also has 34 years experience with a local CPA firm as well as managing a family tax preparation business for 27 years so he can also enlighten his clientele with tax highlights and answers to many of their questions. we can do them all"